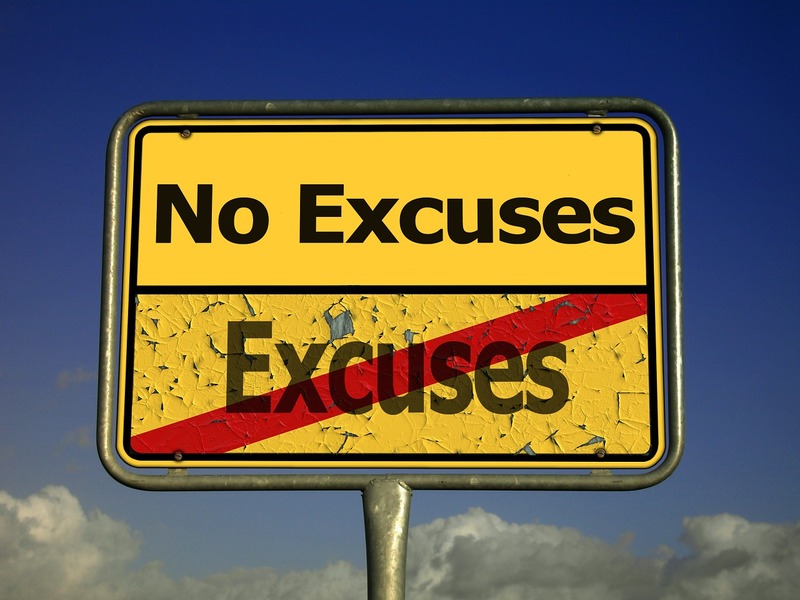 Fitness Excuses: What do you think are some of the biggest obstacles for people who are trying to get in shape? I think that one of the top 4 obstacles or fitness excuses I hear most often is probably: TIME. Everybody is so busy trying to multitask and manage their lives and their families’ lives that just finding the time to work out or get to the gym can seem almost impossible. So, not enough time is the biggest excuse I hear. You have to prioritize it into your lifestyle now. This is important if you want to be around for the long run for your loved ones’ sakes. You will need to get your significant other to work with you to make this happen. If you want this bad enough, you’ll figure out a way! No sugar-coating it. Just do it. They go to the gym and do a sub-par workout and get sub-par results and lose their motivation quickly and drop out. Or they hit the gym and get overwhelmed, discouraged and drop out. Design an effective, safe, and structured workout specifically for your individual goals and needs. Show you how to perform the exercises properly. You’ll be much more likely to be successful with a plan and some sound guidance. Some people say that they cannot afford a gym membership or a personal trainer. I say, look at it as an investment in your health, happiness, future, and your family’s health, happiness, and future. That’s what it is. Now, if you truly cannot afford a trainer, then research it. Google it, buy a book, DVD, or whatever floats your boat. Look it up online. There is no shortage of information in today’s technology age. The Now What? Fitness Series is a great and affordable option, if I do say so myself! Click here to read all about them or purchase them. If you truly can’t afford a gym membership, you can set up a home gym for very little investment. You can do cardio outside or buy a piece of cardio equipment and a Swiss ball and a few handheld weights along with some resistance bands and you can get a great home workout! Heck, you can buy my eBook, So You Want to Work Out at Home...Now What? for a mere $2.99.